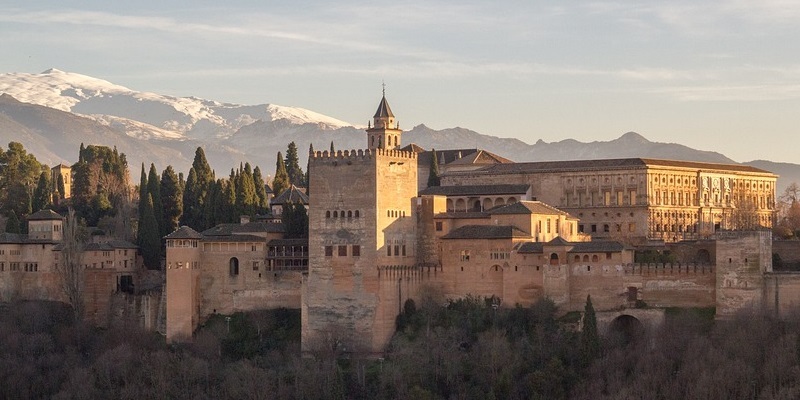 The Centre for the History of Ibero-America (CHIA) brings together academics, postdoctoral scholars and doctoral students with shared interests in the history of Spain, Portugal and Latin American countries. Their studies range from the medieval period to the present and include explorations of the tenth-century Count of Barcelona, Borrell II (945-93); studies of the Portuguese physician and Dominican friar, Gil de Santarém (d. 1265); the history of slavery and the slave trade in the nineteenth-century Atlantic world; the European experiences and contacts of the Latin American Libertadores before, during and after the independence process; mobility, identity and culture in the post-emancipation Caribbean; the origins of Catalonian nationalism; the eugenics movement in Portugal; the development of the Spanish anarchist movement and the history and memory of the Spanish Civil War. Members of the Centre have won awards from the Leverhulme Trust, the Arts and Humanities Research Council and the British Academy. Postdoctoral fellows have gained funding from the Leverhulme Trust and from the Marie Curie scheme offered by the European Commission. PhD students have also won scholarships from the White Rose Network and from the University of Leeds. The Centre helps to promote research and disseminate knowledge within the University of Leeds, across the wider academic community and to the general public. It does so by collaborating with national and international partners on research, teaching, public engagement and impact activities. Each year it holds an annual lecture, a seminar series, a symposium and a postgraduate showcase. It works closely with the Instituto Cervantes to bring events to the general public and regularly hosts speakers from Spain and other countries. Deputy Directors: Gregorio Alonso, Anyaa Anim-Addo and Richard Cleminson. The Centre welcomes applications from prospective visiting scholars and PhD students. May 2019 Postgraduate Showcase Event. Date to be confirmed. 14 May 2019 Will Fowler, St. Andrew’s, ‘The Forgotten Mexican Civil War of the Reforma, 1857-61’ Chair Paul Garner. Grant Room 18.00. 30 April 2019 Stephen Jacobson, Universitat Pompeu Fabra ‘Republican Imperial Pretensions in the Atlantic World: Southern European Legionnaires in Buenos Aires during the 1850s’ Chair Nir Arielli. Grant Room 18.00. 12 March 2019 Pol Dalmau, Leibnitz Institute of European History, ‘Press, Politics and National Identities in Catalonia'. Chair Ángel Smith. Grant Room 18.00. February 2019 Rebecca Earle, Warwick, annual lecture. ‘Poetry, Philosophy and Potatoes’. Date and venue to be confirmed. 12 February 2019 Paul Garner, Leeds, ‘Challenging Historia Patria in Mexico. The Porfirato in Mexico (1876-1911). Parkinson 4.20. 29 January 2019 Ainhoa Campos, Universidad Complutense de Madrid, ‘Hunger in Civil War Madrid’ Grant Room 18.00. 12 December 2018 Jesús F. Chairez, Manchester, ‘From Wardha to Chapingo’. Grant Room. 18.00. 04 December 2018 Massimo Aresu, Leeds, ‘Diásporas romaníes en el Mediterráneo durante la Edad Moderna’ Grant Room. 18.00. 27 November 2018 Matt Kerry, Leeds,‘Dirty Drawers and Battlefield Amours: Politics, Sexuality and the Social History of the Spanish Civil War’. Grant Room 18.00. 02 October 2018 Morten Heiberg, Leeds, ‘The Will of the Weak. US Spanish-Relations after Franco, 1975-1989’. Grant Room. 18.00. July 2018 Giles Tremlett The Guardian and author of Catherine of Aragon: Henry’s Spanish Queen and Isabella of Castile: Europe’s First Great Queen will be giving a lecture at the International Medieval Congress sponsored with the Instituto Cervantes and the Centre for the History of Ibero-America. 15 May 2018 Postgraduate Showcase Event. 03 May 2018 Professor Lisa Surwillo (Stanford University), The Color of Motherhood - Enslaved Cubans under the First Spanish Republic. 24 April 2018 Symposium on Spanish anarchism. Speakers include Professor Martha Acklesberg (Smith College), Professor Richard Cleminson (Leeds), Dr Danny Evans (Leeds), Nathaniel Andrews (Leeds). 27 February 2018 Dr Enrique García Hernán Institute of History, within the Centre for Humanities and Social Sciences (Centro de Ciencias Sociales y Humanas) at the Spanish National Research Council ‘A Spaniard Henry VIII’s Court. The Glory and Decline of Juan Luis Vives.’ This event forms part of the Institute of Medieval Studies Lecture Series and is sponsored with the Instituto Cervantes and the Centre for the History of Ibero-America. 20 February 2018 Dr Nerea Aresti, Universidad del País Vasco, Dr Inmaculada Blasco Herranz, Universidad de la Laguna, Dr Carmen Caballero Navas, Universidad de Granada, Professor Pamela Beth Radcliff , University of California San Diego. Symposium on Gender History (from the medieval to the modern period) in Spain. In English (with a translator for Dr Blasco). Chair: Dr Iona McCleery. 21 November 2017 Professor Manuel Suárez Cortina (Universidad de Cantabria.) Professor Angeles Barrio Alonso (Universidad de Cantabria), Dr. Enrico Accai (University of Leeds) ‘Federalismos entre Europa del Sur y América Latina: un debate historiográfico’. In Spanish. Chair: Dr Peter Anderson. 17 October 2017 Chia Annual Lecture Professor Adrian Shubert (York University, Toronto) ‘What do historians really think about biography? Thoughts from Spain’. In English. Chair: Dr Peter Anderson. 16 October 2017 Round-table Discussion on the crisis in Catalonia. Speakers Adrian Shubert (York University, Canada), Angel Smith (University of Leeds), Antonio Martínez Arboleda (University of Leeds). 28 June 2017 David Alegre (Universitat Autònoma de Barcelona) "Western Europe at Civil War: Violence, Collaboration, Counterinsurgency, and the French, Walloon and the Spanish Volunteers Fighting on the Eastern Front (1941-1945)"
22 March 2017 Marci Freedman (University of Manchester) "Jewish Texts, Censorship and the Spanish Inquisition – An Exploration"
22 February 2017 Giulia Quaggio (University of Sheffield) "A transnational encounter between exiles: Recovering the essay Una doble experiencia política: España e Italia (Francisco Ayala-R. Treves, 1994)"
Maria Thomas (University of Exeter): ‘Contra el vaticano, poder clitoriano’. Women and anticlerical mobilisation in contemporary Spain. Three of the most prestigious scholars in the field will address the use of physical violence against ecclesiastical personnel and property in Modern Spain. The recurrence of instances of anticlerical violence in the first decades of the twentieth century will be examined by taking into account the underlying cultural, social and political factors and conditions that framed them. Contrasting views, as well as new approaches and future challenges affecting this field of studies, will be offered. Shorter interventions by our colleagues Gregorio Alonso and Peter Anderson will, respectively, present and conclude the event. Summary: Sor Juana’s life and her rapid transformation from a beloved poet of the court into an introverted self-lacerating mystic actually point to her success and wide acceptance as a formidable intellectual, exactly the opposite fate that liberal and feminist historiography have repeatedly brought down upon her. The Catholic historiography rest satisfied by claiming that Sor Juana did not suffer any persecution. Unlike them, I argue that support for Sor Juana among large sectors of the Spanish clergy in both Mexico and Spain (and the court as well) was formidable. So much so that the last two volumes of her works came out in print as dossiers for possible canonization. A narrative emerged among the learned that Sor Juana’s theological works amounted to evidence of extraordinary epistemological miracles and that Sor Juana’s vita recorded a life of martyrdom for learning. She came to be seen as a potential saint that belonged in three separate celestial hierarchies: doctor, martyr, and virgin. Guest speaker: Jorge Cañizares-Esguerra is Alice Drysdale Sheffield Professor of History at the University of Texas at Austin. He is the author of more than 60 academic articles and book chapters. His books include: How to Write the History of the New World (Stanford 2001 -translated into Spanish and Portuguese); Puritan Conquistadors (Stanford 2006; translated into Spanish); Nature, Empire, and Nation (Stanford 2007); The Atlantic in Global History, 1500-2000(co-edited, with Erik Seeman),The Black Urban Atlantic in the Age of the Slave Trade (co-edited with Jim Sidbury and Matt Childs); and an edited collection Entangled Empires and Severed Archives: Anglo-Iberian Atlantic Worlds 1500-1830 to be published by University of Pennsylvania Press. His new book project is entitled Bible and Empire: The Old Testament in the Spanish Monarchy, from Columbus to the Wars of Independence. Journals edited by members of the department include the Journal of Iberian and Latin American Studies, Atlantic Studies and European History Quarterly.